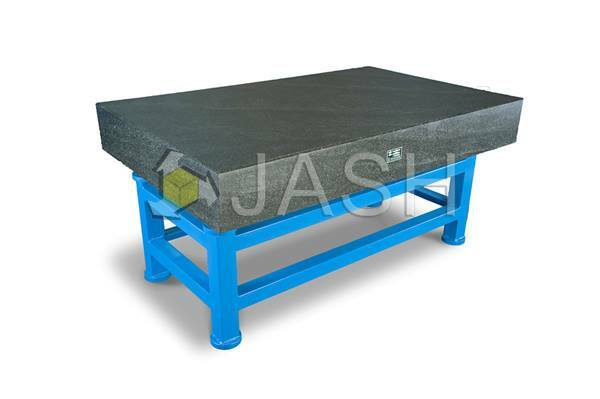 JASH Granite Surface Plates are used for precision gauging, inspection, layout and marking purposes. They are preferred by Precision Tool Rooms, Engineering Industries and Research Laboratories because of their following outstanding advantages. No rust, no corrosion, relatively warp-free, no compensating hump when nicked, longer wear, smoother action, greater precision, non-magnetic, less care after commissioning, lower co-efficient of thermal expansion and non-glaring surface. These features make JASH one of the best granite surface plate manufacturers in the industry. Made from close grained Granite having uniform color and texture having hardness 5.6 to 7 on Moh's scale, free from flaws, fissures and large inclusions of softer minerals. Made generally as per IS-7327. Also available on request conforming to DIN-876, BS-817, JIS -B-7513 and US Federal specification GGG-P-463-C.
Metalic threaded inserts, Metalic T-slots, Plates with two or four ledges can also be supplied against specific request at extra cost. 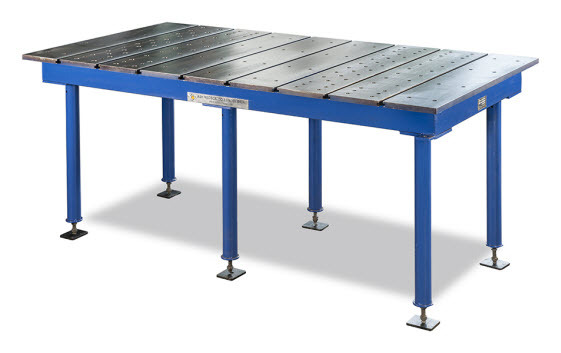 Rexine cover provided for top working surface with standard size plates. Fabricated Frame / Cupboard type / Cast Iron column type stand with leveling screws are available on request at extra cost. Active and Passive air mounts are offered upon request, at extra costs.